All the latest gardening news in the UK. From ground breaking new varieties, techniques and discoveries through to the plain absurd! Other bidders are also believed to be interested in the sale. 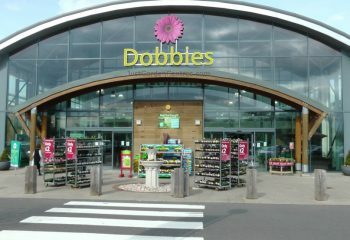 Dobbies was bought by Tesco in 2007 for £156 million and it has been estimated to be worth just under £200 million. If you have any box tree plants (buxus) in your garden then a new threat is not far off the horizon. It is the Box Tree Caterpillar (Cydalima perspectalis) and in 2015 it has begun to rapidly spread throughout the South East of England. Click here for full article and alternatives to Box Tree plants. 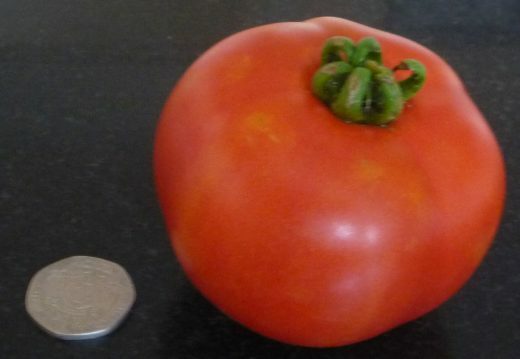 The first growing trial report on the tomato variety Crimson Crush has been released by GardenFocused.co.uk. Billed by Suttons as 100% blight proof, the article follows the progress of Crimson Crush through the 2015 growing year. Crimson Crush tomato close up. What does it look like, taste like, disease resistance and overall health? All answered and the first amateur pictures	...... Click here for full article. The Spanish slug will eat almost anything as far as vegetation and plants are concerned. Forget all previous assumptions you may have about what slugs will eat, the Spanish Slug will eat crops and plants which other slugs totally ignore. Parsley, fuchsias, geraniums, onions - the list can go on and on, the Spanish slug loves all plants	...... Click here for full article. The RHS have released their list of top ten most troublesome pests last year. Expect much of the same for 2015	...... Click here for full article. Northern Polytunnels have released a new range of easy to build polytunnels which still retain their renowned strength and durability	...... Click here for full article. Click here to read our full article about multi-coloured strawberries! Suttons will be releasing the first blight resistant tomato for sale in the UK during spring 2015. It's called Crimson Crush and currently it is the ONLY tomato variety	...... Click here for full article.